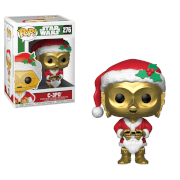 Kotobukiya's lineup of amazing figures from STAR WARS Episode VII: The Force Awakens continues with fan favorites C-3PO, R2-D2, and BB-8. 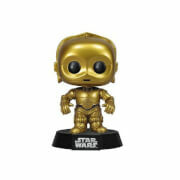 Artoo and Threepio are updated to reflect their appearance in the latest film. 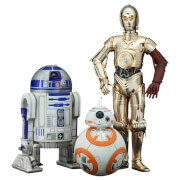 Artoo and Threepio feature magnets in their feet for added stability on the included base, and even BB-8 includes a magnet to help keep him in place. Display alongside other Star Wars Episode VII: The Force Awakens snap-together figure kits from Kotobukiya.